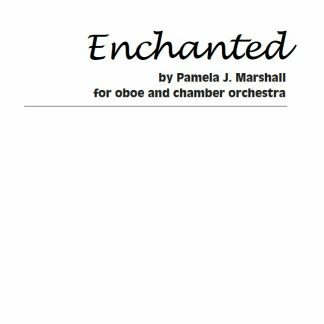 Enchanted features the expressive voice of the oboe in a magical, pastoral mood. 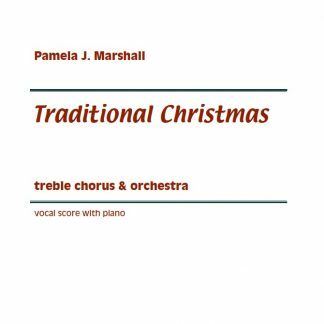 The chamber orchestra instrumentation is the same as Barber’s Knoxville, without the soprano. 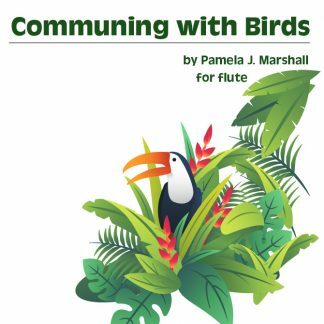 A lot of my music is shaped by images and sounds of the natural world. As I wrote Enchanted, I had in my mind the magic of filtered sunlight in dark forests and the joy of being in a remote spot, sharing it with singing birds, maybe even elves, absorbing the magic of the place. The opening is an incantation – calling kindred spirits to celebrate the forests and hidden glades. The voice of that world is the oboe. You’ll hear the oboe’s fanfare-like motive come back to introduce several new sections of music. 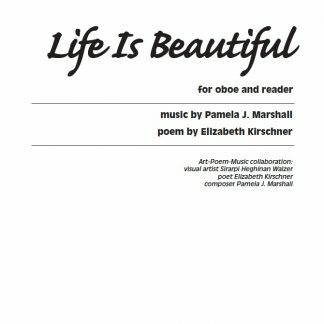 Finally at the end, the oboe starts a grand chant-like song that is taken up by the rest of the orchestra as a finale to the celebration. Listen to an MP3 of the premiere. The performers are the Concord Chamber Ensemble. Veronica Kenney is the oboist and Alan Yost is the conductor. 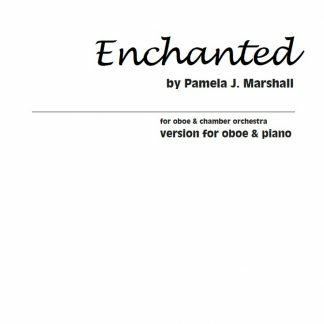 There have been a few revisions with measures added since that performance, particularly at C and before and after S.
Get the solo part for Enchanted with a piano arrangement. 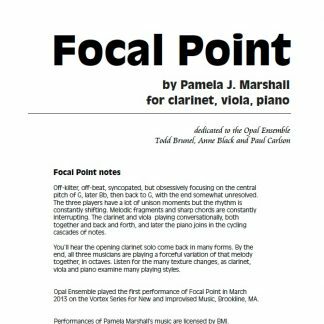 At the top of this page: Download the preview PDF score (printing disabled), or add the PDF score to your cart to buy a printable score. Schedule parts rental for Enchanted for your next performance with orchestra. Contact us with your scheduling and string part requirements. Rental period is typically 2 months, but longer rental periods are fine – just let us know.